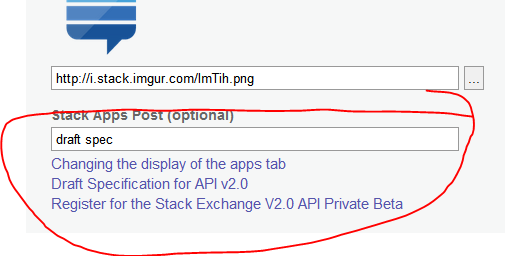 On the app management page, when you select one of your apps it says stack apps post, and for me at least says not set. Clicking edit doesn't give an option to set it? There's now a box to paste your apps registration post when you got to edit an application. You can also type the title to get some auto-complete hints (click on the links to fill in the box). Why aren't my application icons being used in the “Top Apps” list? After user login, how do you ask user for permissions?